← Is this Google’s fault? Sir, Observing a very slight notice in your valuable journal of this occurrence, which is calculated to mislead the public as to the extent of damage done, and to the probability of the reopening of the line, I beg to send you the facts as they are, and the probabilities of impending accidents. Previous to the opening of this coast line – which for 20 miles runs beside the water, and 16 of which are subject to the wash of the tide – it was well said by a contemporary of the press that “Old Neptune would always claim his share” before the proprietors could receive their dividend. For the last three weeks a number of men have been employed in removing the fallen earth and watching the impending slips of the cliffs between Dawlish and Teignmouth. On Wednesday last a slip of the side of the cliff between the above-named towns took place (about 4,000 tons), which completely broke up the rails and forced the sea wall into the tideway. I guess the route was always a high risk one. Is it just some quirk of the alphabet that two lines most at risk are the ‘Cambrian’ and the ‘Cumbrian’? I’ve stayed near both. 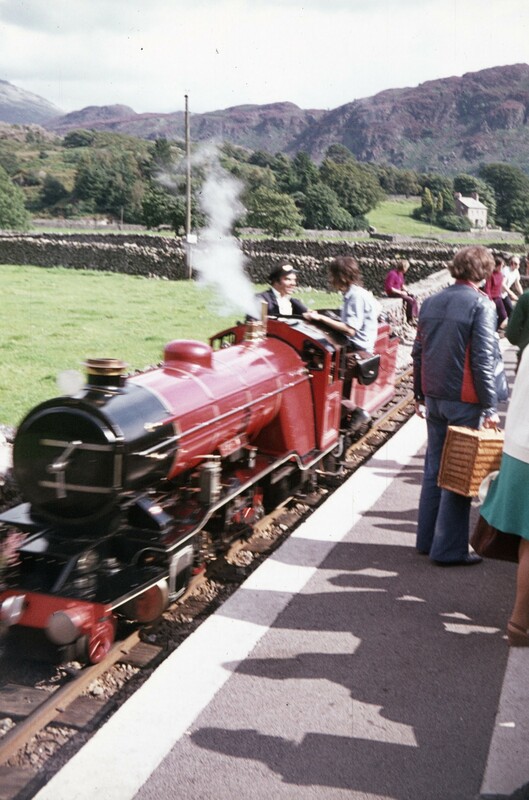 I recall a family holiday in Barmouth, where the Cambrian line literally passed within inches of the hotel lounge window before crossing the road on an overbridge. 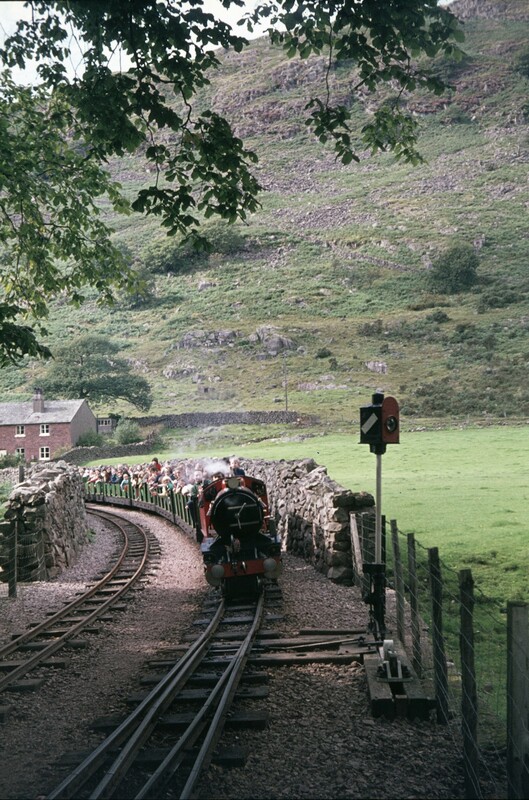 Both hotel and railway were built up the side of the hill. 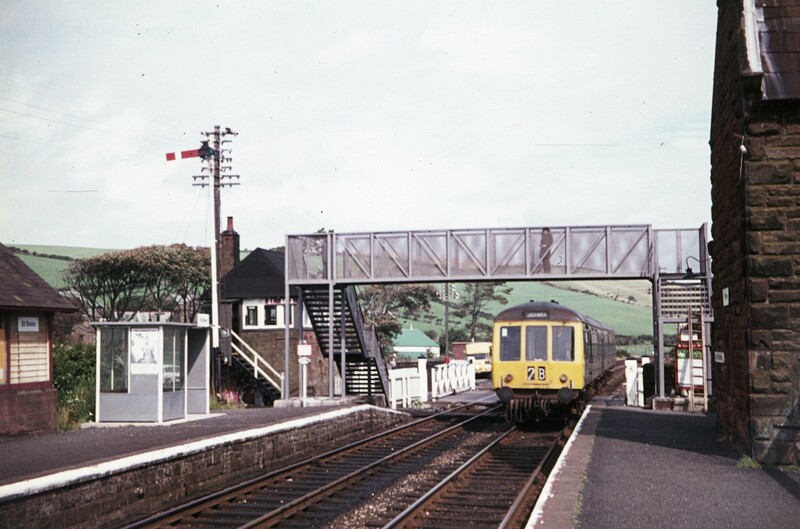 A later holiday took me to St Bees in 1974, and here is a photograph of the station, with train arriving. 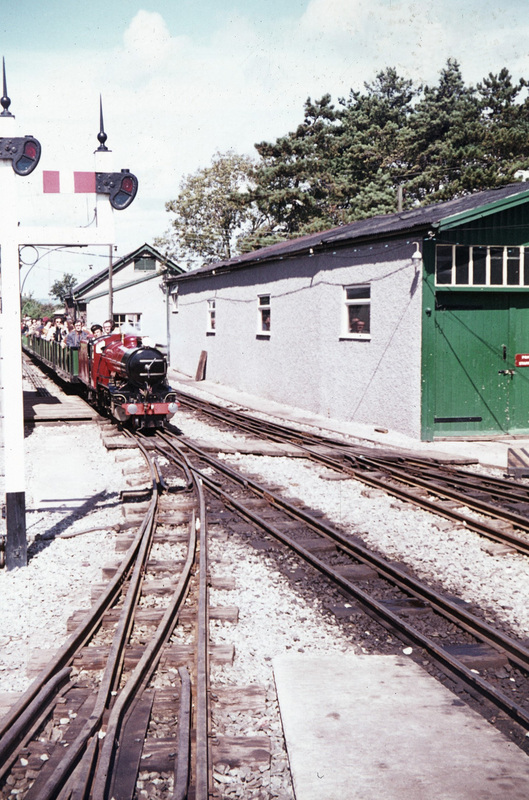 An interesting mixture of period details here – the new footbridge and ‘bus shelter’ contrast with the semaphore signal. 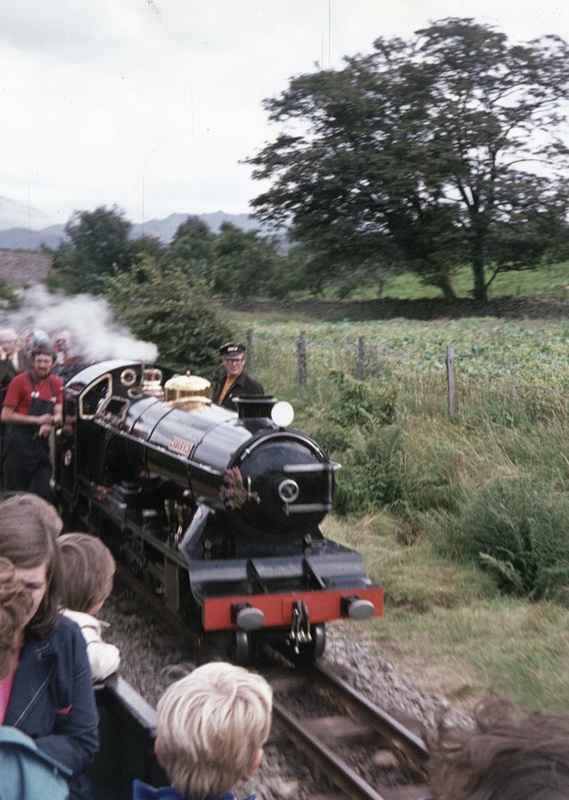 The Ravensglass and Eskdale miniature railway was nearby, and I paid it a visit that day. This line is also at risk from the sea – providing climate change and sea level change goes to plan. Here are my photos of the day…. This entry was posted in ESNG, Inspiration, Out and about, Prototype and tagged ESNG, prototype, railway. Bookmark the permalink.